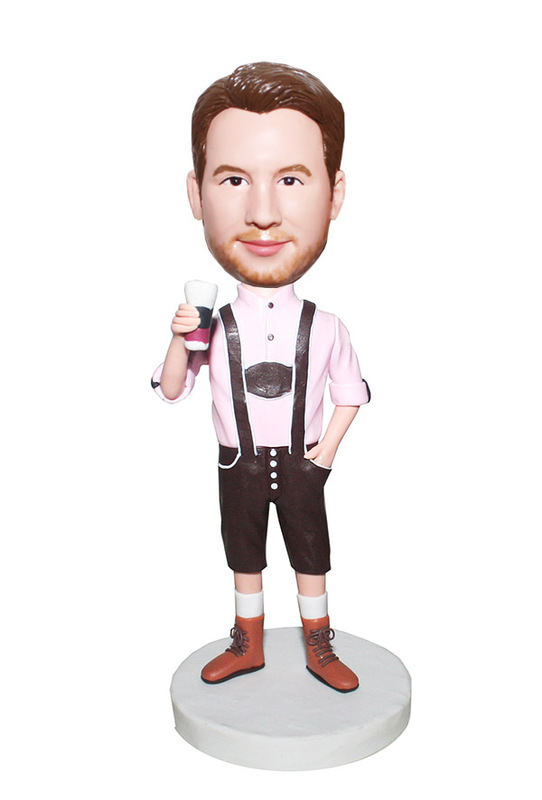 With a cup of offee, this customized male bobble head dressed in a pink shirt with sleeves rolled up and a brown suspender atop and tan boots. 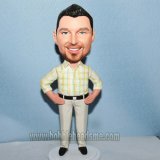 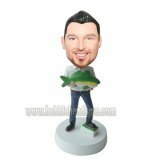 This customized casual dress bobblehead can be a wonderful way to tell the world how much your friend or you love this easy life. 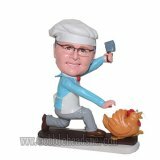 A good gift for yourself or your friend, for it can give you or him more passion to life! !